Labeling the government of Bolivia as “pro-extractivist” or “neoextractivist” ignores the reality that Bolivia has made significant advances in breaking with the extractivist framework inherited from previous governments and enforced by the existing global relationship of forces. A central challenge facing progressive governments and social movements in South America today is breaking the region’s dependency on raw material exports. This issue, which has tended to revolve around the concept of “extractivism”, has also become one of the main points of contention between supporters and critics of the processes of change currently underway in the region. Extractivism generally refers to an economic model centred on the large-scale removal (or “extraction”) of natural resources for the purposes of exporting raw materials. The term usually covers industrial-scale agriculture, forestry and even fishing, along with more traditional extractive industries such as mining and hydrocarbons. Exploiting their position of power, countries in the global North (North America, Europe and Australia) have geared their economies towards transforming cheap imported raw materials into profitable manufactured goods. This has allowed them to pursue their own industrial development at the expense of other country’s resources. In the global South, a dependency on exporting raw materials that are then imported back into the country as expensive processed goods has become the norm. For example, many oil-producing nations still find themselves having to import petrol. Extractivism also has the effect of fragmenting local economies into highly specialized extractive industries geared towards the global market (and therefore vulnerable to its vicissitudes), alongside backward, low-tech domestic industries and a bloated informal sector. The capital-intensive nature of extractive industries means they provide little in terms of jobs, and are highly dependent on transnationals based in the global North that continue to maintain a monopoly over the technology and machinery required to run these industries. This ensures that along with the country’s resources, most of the wealth generated by these industries is also extracted out of the country. Acosta explains that the end result of extractivism is “high levels of underemployment, unemployment and poverty, while the distribution of income and wealth [becomes] even more unequal.” This also leads to a shrunken domestic market, thereby entrenching the economy’s dependency on export markets. Seen in this context, extractivism is a powerful concept for understanding how imperialist exploitation continues to be a huge obstacle on the path of development for global South countries. It also reveals why the struggle for an alternative, post-capitalist development model is intertwined with the need to overcome extractivism. Few leftists in South America would disagree with these propositions. Yet, an at times sharp debate has opened up between whatsome commentators have defined as “pro-extractivists” and “anti-extractivists”. As I have explained elsewhere, counterposing differences in such a way tends to hinder rather than help us understand the unfolding debate. The reality is that almost no one proposes closing down all extractive industries. Even a keen critic of extractivism such as Uruguayan ecologist Eduardo Gudynas acknowledges the need for what he terms “sensible” and “indispensable” extractivism. Instead, the debate should be viewed as one involving different opinions regarding how best to overcome extractivism. Acosta acknowledges that the new wave of progressive governments represents a step forward in relation to previous neoliberal governments, but at the same time argues that they do not pose an alternative to extractivism. Instead, he criticizes these governments for pursuing a strategy of what he calls “neoextractivism”. According to Acosta, a defining feature that sets neoextractivism apart from traditional extractivism is the increased presence and role of the state within extractive industries. This allows local governments to capture a greater share of the wealth generated by these industries. However, even this positive aspect has a negative side according to Acosta, as governments have used social programs funded by extractive industries to justify expanding extractivist practices at the expense of the environment and local communities. Acosta goes on to argue that under neoextractivism, “the structures and fundamental features of production and exports remain unaltered” with local economies maintaining their subordinate position in the global market. With extractive industries continuing to be a cornerstone of the development policies of progressive governments, “there are no substantive changes in the current structure of accumulation” writes Acosta. So how do these criticisms stack up to reality? Not very well if we take Bolivia – regularly considered to be implementing a neoextractivist strategy – as an example. Certainly, moves by the Evo Morales government have led to increased state control over the gas and mining sector. This has involved the nationalization of gas and mineral deposits and re-negotiation of new contracts that mean the state now takes the lion’s share of profits generated in these sectors. This has facilitated a seven-fold increase in social and productive spending by the government since 2005, which in turn has allowed the government to make some headway in overcoming the social debt it inherited. A form this has taken is the dramatic expansion in access to social programs, to the point where one in three Bolivians today directly benefit from government social security payments. This has undoubtedly been a key-contributing factor to the fall in poverty from 60.6% of the population in 2005 to 43.4% in 2012. However, it is important to note that unlike under extractivism, poverty reduction has gone hand in hand with decreased income inequality. For example, the disparity in income between the richest 10 percent and the poorest 10 percent has closed from a ratio of 128 to 1 in 2005, to 60 to 1 in 2012. Decreased inequality is also evidenced by the improvements in Bolivia’s Gini Coefficient and Human Development Index, which take into account the expanded access to education and healthcare made available under the Morales government. Acosta criticises this as helping to legitimise extractivism. In reality, it is an about finding ways to urgently meet peoples’ basic human development needs. Critics provide little in the way of alternatives when it comes to proposals regarding how else progressive governments can attend to peoples’ demands and expectations. They also leave out other important benefits brought about by greater state control over natural resource wealth. Firstly, increased state revenue has facilitated a sharp drop in public debt, making the state less dependent on foreign loans. It has also allowed the government to expand its nationalization program into such other areas as telecommunications, electricity and water and ensure that more Bolivians have access to these basic services. Secondly, wealth redistribution has helped boost the domestic market, with the economy expanding three-fold within seven years. Higher incomes for most of Bolivia’s population resulted in greater domestic demand, which averaged 5.2% per year between 2006 and 2012, and became the main driving force for economic growth. Overall, Bolivia expert, the late Benjamin Kohl, noted that under the Morales government, there has been a “general loosening of transnational control” over the Bolivian state and economy. Critics also ignore the important steps that have been taken towards industrializing and diversifying the economy. Under the government’s gas industrialization plan, Bolivia has already begun to export processed gas and by the end of this year will be able to meet its domestic demand for gasoline and liquefied petroleum gas. This not only demonstrates that Bolivia has begun taking small steps towards breaking with its traditional role of raw materials exporter, but it also means that hundreds of millions of dollars currently being used to subsidize the cost of imported processed gas can be redeployed to meeting other needs. Similarly, the higher returns from exporting processed gas mean Bolivia can generate more wealth from less gas extraction. Overall, the current industrialization plan is pushing Bolivia in the direction of less dependency on raw material exports and processed imports, more wealth to redistribute, and the potential to decrease gas exploitation. The redistribution of revenue from higher hydrocarbon taxes and royalties to other productive sectors has aided growth in the manufacturing sector, which has outstripped that of mining or hydrocarbons. Moreover, a phenomenal jump in the number of registered enterprises, from less than 20,000 in 2005 to over 96,000 by mid-2013, has contributed to a decrease in unemployment and an increase in the percentage of workers employed in the formal. Lastly, but perhaps most importantly in terms of attempting to move Bolivia not only in a post-extractivist, but a post-capitalist direction, are the steps taken by the government to help foster the communitarian sector. This has been done primarily through the creation of a number of small state-owned enterprises in which local producers and communities have a say in how they are run, and the titling of over thirty-five million hectares of land as either communitarian property or indigenous territories. The state has also sought to strengthen communitarian agriculture practices through preferential access to equipment, supplies, no-interest loans, and state-subsidized markets. None of this is to deny that transnationals continue to operate in Bolivia, and that extractive industries persist. 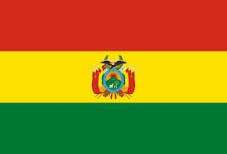 Moreover, Bolivia’s economy is still capitalist and resource dependent. However, labeling the government as “pro-extractivist” or “neoextractivist” ignores the reality that Bolivia has made significant advances in breaking with the extractivist framework inherited from previous governments and enforced by the existing global relationship of forces. These include gradually replacing dependency on foreign demand with increased internal consumption (resulting from wealth redistribution) as the main driver of economic growth, and steps towards industrializing and diversifying the economy away from a dependence on raw materials exports. Of course there has been legitimate debate regarding aspects of the government’s economic strategy, in particular over the pace and scope of its implementation. A critical factor that could help the process along would be support and aid from the global North in the form of technology transfer and repayment of its climate debt to the global South. That is why the government has placed so much emphasis on forging broad international alliances with governments and social movements around issues such as climate. Similarly, a new wave of revolutionary struggle in Bolivia or the region could add the kind of necessary impetus needed to drive the process of change forward. In the meantime, the Bolivian people and their government continue to provide important proof that an alternative to extractivism, although difficult to build, is possible.